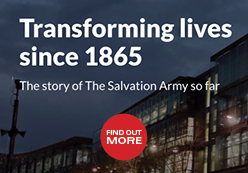 The Salvation Army believes strongly that all people deserve compassion and care in their suffering and dying. Euthanasia and assisted suicide should not, however, be considered acceptable responses. They undermine human dignity and are morally wrong. 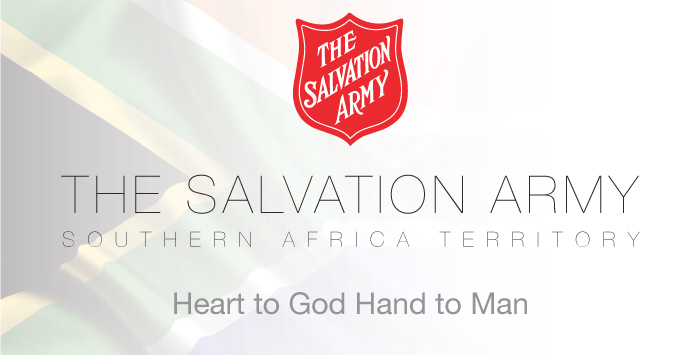 The Salvation Army believes therefore that euthanasia and assisted suicide should be illegal. Euthanasia means killing someone else whose life is thought to be not worth living. Voluntary euthanasia is done at the request of the person who is to be killed or with his or her consent. Non-voluntary euthanasia is done without the request or consent of the one who is killed, because he or she is not capable of giving consent (for example, the killing of a patient with advanced Alzheimer’s disease). Involuntary euthanasia is the killing of a person who is capable of consent, but has not given his or her consent to be killed. Suicide is the direct and intentional killing of oneself. In assisted suicide someone else provides help to the person committing suicide (for example, instructions about how to commit suicide efficiently, or the means with which to do it) Where the assistance is given by a doctor, we speak of physician-assisted suicide. Modern medicine enables us to survive illnesses and injuries that would almost certainly have killed our forebears. For many people these developments are a huge blessing, but for some the lives that have been prolonged by medical care are painful, limited and sometimes overwhelmed by suffering. This experience of being kept alive but with a poor quality of life is one reason the traditional rules against euthanasia and assisted suicide are being increasingly challenged. All people deserve to have their suffering minimised in every possible way consistent with respect for the sanctity of life. It is not suicide for people to choose to refuse or terminate medical treatment. It is not euthanasia for health care professionals to withhold or withdraw medical treatment that only prolongs the dying process. To provide supportive care for the alleviation of intolerable pain and suffering (e.g., by way of analgesics) may be appropriate even if the dying process is shortened as a side effect. Death is a human reality. Even with the most advanced medical science and attentive care giving, cure is not always possible, and pain and suffering cannot always be overcome. We must never use anyone’s suffering as a justification for causing their death, however, or judge a person’s life as not worth living. Respecting the sanctity of human life means we value all human beings irrespective of age, health status, gender, race, religion, social status or their potential for achievement. We know that God’s healing power at times intervenes and that dying persons are restored to life. But even so, life in this world is not God’s ultimate destiny for human beings. The Christian faith regards death as the transition from earthly life to life eternal (2 Timothy 4:6-8; 2 Corinthians 4: 16-18), a life that all can enter with hope and confidence through faith in Jesus Christ. Proponents of euthanasia and assisted suicide emphasise two key arguments: a) individual autonomy (which is interpreted to include a right to be in control of one’s own mortality) and b) a compassionate response to human suffering. The Salvation Army similarly prizes human autonomy highly, but believes human beings do not have the right to death by their own act or by the commissioning of another person to secure it. The Salvation Army considers each person to be of infinite value, possessing inherent dignity, and that each life is a gift from God to be cherished, nurtured and redeemed. Human life, made in the image of God, is sacred and has an eternal destiny (Genesis 1:27). Human beings were created for relationships and for those relationships to be expressed living in community, including in times of death (1 Corinthians 12: 26; 1 John 3:14). The priority that governs Christian compassion in the process of dying is to maximise care. We all know the fear of suffering and the frustration of being unable to relieve it fully, however, our continuing focus is not to eliminate suffering people but to find better ways of dealing with their suffering. It is important to communicate by word and deed to the sick, the elderly and the dying that they remain worthy of respect, that they are loved and will not be abandoned to their suffering. Respect for the dignity of human life demands quality care for all persons at the end of their lives. The Salvation Army therefore promotes access to palliative services that provide holistic care (physical, emotional, psychological, social and spiritual) when there is no longer medical hope for a cure. Optimal pain control and the overall comfort of the individual should be the primary goals of this care. Human beings exist in social relationships; what happens to one person has a deep impact on others too. It is important that support is extended to meet the complex needs of family, direct care providers and the wider social community who will grieve the loss of their loved one and friend. It is advisable for those who can do so to make suitable preparation for their death, especially spiritual preparation, and to inform loved ones and caregivers concerning their wishes for this final stage of life’s journey. It may be helpful to commit this to writing; however, there should be a guard against the possibility of subtle pressures being placed on the sick, the elderly, the disabled and the dying to act contrary to their true interests and wishes in order not to become an unwanted burden. As far as possible, decisions around end-of-life concerns should remain in the hands of the dying person in collaboration with competent health care professionals, assisted by loved ones whom the patient wants to be involved. If the dying person is no longer capable of being involved in the decision-making process, others who know her/ him well may be empowered to act as substitute decision makers. Biggar, N. (2004). Aiming to Kill: The ethics of suicide and euthanasia. London: Darton, Longman & Todd. Evans, A. (2011). Is God Still at the Bedside? The medical, ethical, and pastoral issues of death and dying. Grand Rapids, MI: Eerdmans. Gill, R. (2006). Health Care and Christian Ethics. Cambridge: Cambridge University Press. Meilaender, G. (2005). Bioethics: A primer for Christians. Grand Rapids, MI: Eerdmans. Verhey, A. (2003). Reading the Bible in the Strange World of Medicine. Grand Rapids, MI: Eerdmans.